It’s peak fall season. 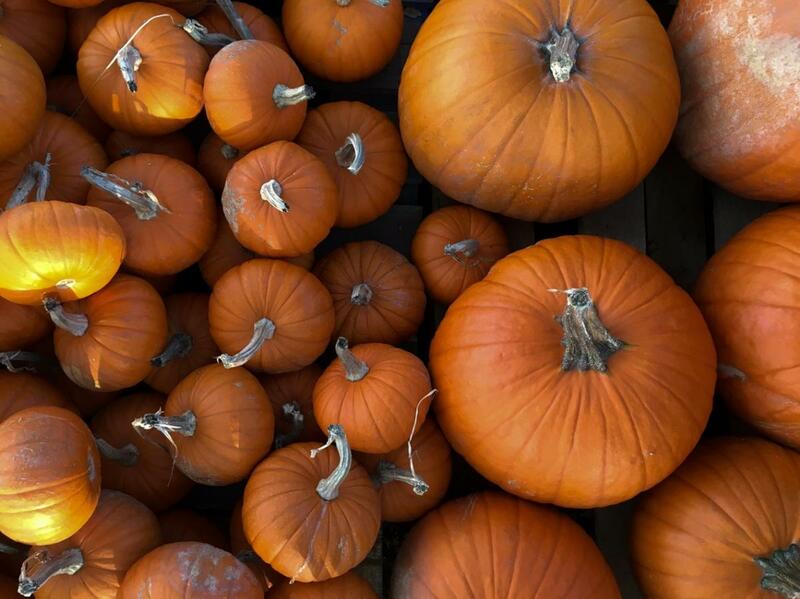 The leaves have fallen, and it's almost time for Halloween, so what better time to take your family to a pumpkin patch? Here are some pumpkin patches near Austin offering family fun throughout the month. Near Austin, the annual Fall Festival & Pumpkin Patch at Barton Hill Farms will be open on weekends through November 4 Saturdays from 10 a.m. to 7 p.m. and Sundays from 10am to 6pm. Online tickets are $11.95 per person and in-person tickets are $15.95. Children ages two and under get in for free with adults. Aside from the pumpkin patch, other activities include a corn maze, jumping pillow, duck races, slides, train rides, rat rollers, and a trike track plus more. Sweet Berry Farms' Harvest of Fall Fun near Austin is open through November 4 from 8:30 a.m. to 5:30 p.m. on Saturdays and from 11 a.m. to 5 p.m. on Sundays. Admission and parking are free, and you just pay for the activities you want to do and the pumpkins you pick. Activities include hayrides, a train ride, mazes, scarecrow stuffing, flower picking, face painting, horse rides, and homemade ice cream. The activities range in price from $2.50 to $5. Pumpkins range in price from $1.25 for the miniatures up to $75 for the massive “big mac” pumpkins. This farm’s pumpkin patch is open from 10 a.m. to 6 p.m. on Saturdays and Sundays until November 4. There are no admission or parking fees, and a $10 wristband gets you unlimited turns on activities. Besides pumpkin picking, activities include a corn maze, a barrel train, corn cannons, hayrides, bounce pad, arts and crafts, horseshoes, and a petting zoo plus more. Children under the age of two are free with an adult with a wristband. Pumpkins range in price from $1 to $8. The pumpkin patch at this farm is open Monday through Friday from 10 a.m. to 6 p.m., Saturday from 9 a.m. to 6 p.m. and Sunday from 1 p.m. to 6 p.m. They offer free pumpkin painting every Saturday in October from 10 a.m. to 12 p.m. with a pumpkin purchase. Besides pumpkins, this farm has squash, gourds, and decorative corn as well as corn stalks. Families can take a guided tour of the farm that includes feeding the animals, milking a cow, and a hayride for $10 per adult and $8 per child age two and older. Feed for chickens, rabbits, ducks and goats is included in the price of admission for the farm tour, and the bottle to feed a calf is $2 each. These pumpkin patches near Austin are sure to get you in the fall spirit, so head over with the family and have some fall fun! Find more things to do in Austin by registering on 512area, your free guide to everything in the Austin area.